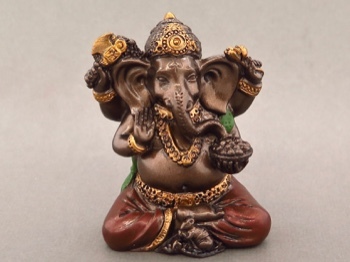 Ganesha is the most beloved and worshipped of all the Hindu gods. 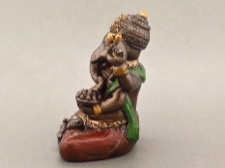 This warmly colored, carefully detailed Ganesha is the perfect size for a personal altar, or even can be carried along with you. 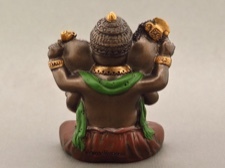 He is 2.25 inches tall and 2 inches across, fits comfortably in the palm of your hand. 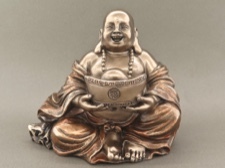 He makes a thoughtful and special gift to oneself or to someone important to you. 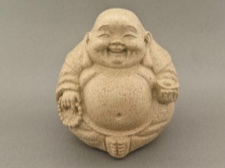 He is created in cold cast resin and carefully handpainted.